Sasaram: Why Meira Kumar Can’t Help? Meira Kumar has been winning the parliament seat from Sasaram. His father legendary Jagjivan Ram also kept Sasaram as his constituency for the parliamentary election. 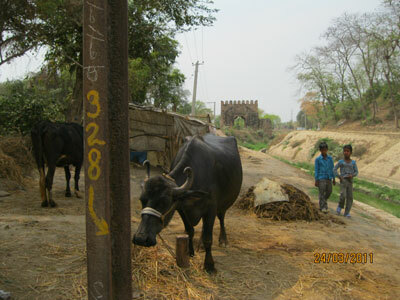 Would not they have done something for this very old city with history extending into very ancient prehistoric India? 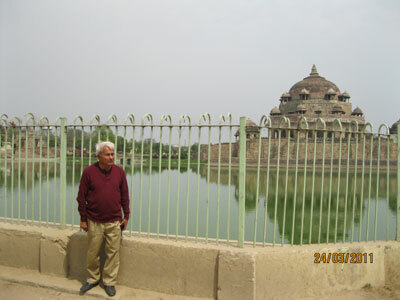 Since my childhood when my grandfather had introduced me with Sher Shah Mausoleum, I tried to visit the monument every time I visit Sasaram. My grandfather took me to every nook and corner of the monument, showed huge stone pieces used in the construction and queried how some 500 years ago, this would have been done. He did tell also a story too about the reason of the water of the tank and how it became undrinkable. I started photographing it since 1967. Every time I vested I expected some improvement. But I got morose. I thought some politician or local rich man would take some interest its heritage and get it a status of world heritage site. It has not happened till date. On the bus route to my village I used to pass through a locality of this old town that is called Takia. Takia has been a mandarin had been seeing the huge water body almost similar to the water tank of Sher Shah Mausoleum. But I never went near it to get the full view of it. When I talked with the local people I knew, I hardly got any information. This time I had made up my mind to see it from near quarter and photograph it. It is in very poor condition rather in a filthy condition. It has a potential to be a big tourist attraction. As I know now this the tomb of Islam Shah (commonly known as Salim Shah, who was the son of Sher Shah Suri. Islam Shah planned a tomb of considerable size around 1550. Naturally with the fall of Sher Shah, it would have been difficult to take up such a project. It remained incomplete. 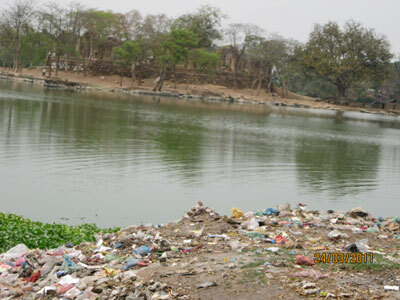 Will the Bihar government do something for cleaning up the place and make it worth visiting it? I also appeal to Meira Kumar, the speaker of the country and MP from this constituency with this letter to do something concrete to save this heritage site. With all her connections and being a poet at heart, I wish she comes forward to give back to Sasaram something that is overdue. The surroundings of Sher Shah Mausoleum are also poorly maintained. There is encroachment all around. Can’t the DM and SP of the district take it up as an additional task? As Sasaram is on the route that connects Sarnath with Buddh Gaya for the tourists, it can easily be promoted as tourist destination. I do appeal to the affluent persons of Sasaram to save the two great attractions of Sasaram. Sasaram deserves to a heritage city.